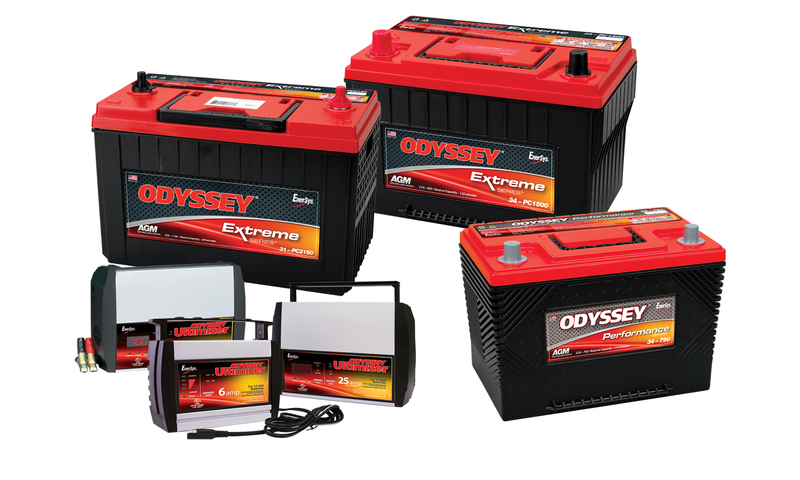 READING, Pa. (Oct. 9, 2013) – EnerSys® has announced that it will be offering a 10 percent discount for any ODYSSEY® battery orders placed at the 2013 SEMA Show (Nov. 5 – Nov. 8, 2013). The discount includes freight and is valid only for orders placed via the online store kiosk at ODYSSEY® Battery booth no. 24863 in Central Hall of the Las Vegas Convention Center. In addition to the new online store kiosk, the ODYSSEY® Battery booth will feature a side-by-side comparison of the ODYSSEY® Extreme Series™ battery and the ODYSSEY® Performance Series™ battery that will exemplify the features of each series and identify the best choice for any particular application. Other exciting features at the booth include special guest appearances by Brian Deegan (Freestyle Motocross Legend, Founder of Metal Mulisha and Motorsports Icon) on Tuesday, Nov. 5 from 9:45 a.m. – 10:45 a.m., and Tanner Foust and Rutledge Wood (as seen on History Channel’s Top Gear) on Tuesday, Nov. 5 from 3-4:30 p.m.